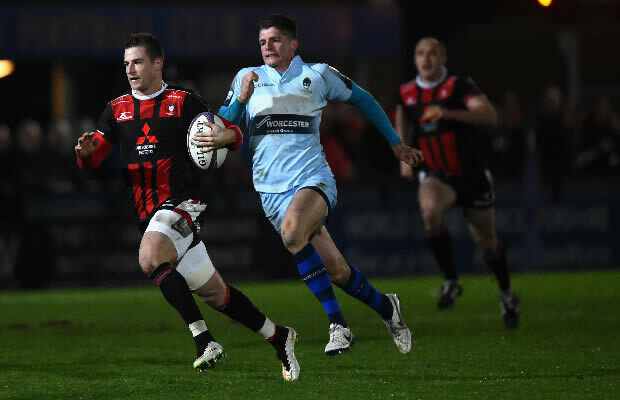 Gloucester extended their record to three wins from three matches by beating Worcester 22-34 at Sixways Stadium in the European Rugby Challenge Cup onm Thursday. 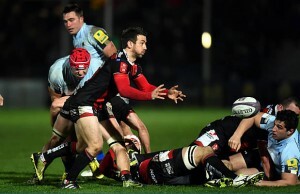 The teams were level on 10 all at half time but in the second half Gloucester outscored their host by 24 points to 12. Henry Purdy crossed for a second time after half-time before Rob Cook, Steve McColl and Billy Twelvetrees sealed a bonus-point win which puts Gloucester in control of Pool Four. The local rivals were locked at 0-0 in the first 10 minutes, with neither side prepared to give up any ground. It was Gloucester who landed the first blow with a scrum penalty to give Greig Laidlaw the chance to knock his side in-front, and he obliged for a 3-0 lead. But Worcester hit-back after 15 minutes through flying wing Hammond. 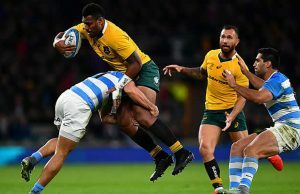 A well constructed backline move allowed Andy Symons to find Hammond in a yard of space, and the South African born wing raced over to put the hosts ahead. Ryan Lamb converted, but the game swung back Gloucester’s way before half-time. Gareth Milasinovich was shown yellow for continual offending at the set-piece and the Cherry and Whites capitalised. Mark Atkinson delivered a perfectly weighted cross-kick for Purdy to burrow in at the corner, with Laidlaw on target with the conversion to give the champions the lead. But there was enough time for Lamb to hit a late drop-goal to level the scores at 10-10 at half-time. And it was Purdy who took matters into his own hands once more to put Gloucester in a commanding position. The flying wing popped up in midfield after McColl had made good yardage and barged over. Laidlaw converted to make it 17-10 to Gloucester after 53 minutes. And it got even better for the title holders when Billy Burns found replacement Cook with a perfect flat pass for him to cross at the corner. But Daniels crashed over with 15 minutes remaining after Lewis Ludlow had been shown yellow to make for a nervy ending. Just when it looked like Worcester were back in it, Laidlaw breaks and finds McColl, who raced over for his third try in three games and the bonus-point. And Twelvetrees put the gloss on the win by leaping to claim Burns’ well placed kick. But there was still time for a late score from Darren O’Shea.